As a resident of South Placer County since 1980 our owner, Jim D'Ambrosio, has a background in banking and finance, founding two financial institutions. He also served for a number of years as Vice Chairman of the Board and Treasurer of Roseville Hospital and Sutter Roseville Medical Center. He was a licensed securities dealer and founded a mortgage banking company and an auto leasing company. Lincoln Gold and Coin is Jim's dream, built from years of collecting and investing in precious metals, coins, and other unique collectibles. 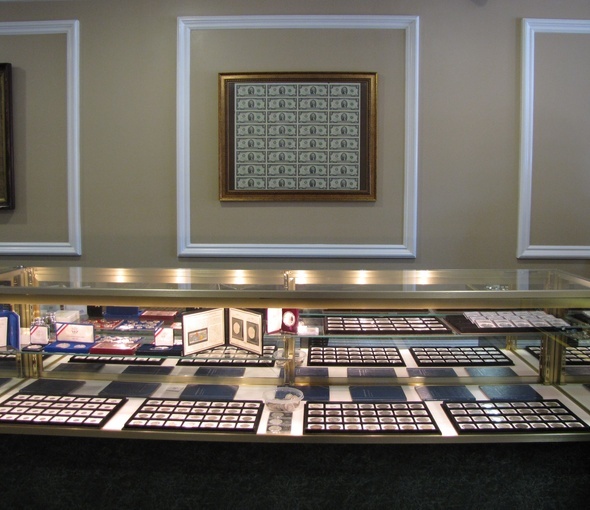 Our inventory, which changes daily, includes a wide variety of collector coins, currency, gold and silver coins and bullion, an extensive selection of estate jewelry, as well as a diverse and varied selection of unique and collectible items.